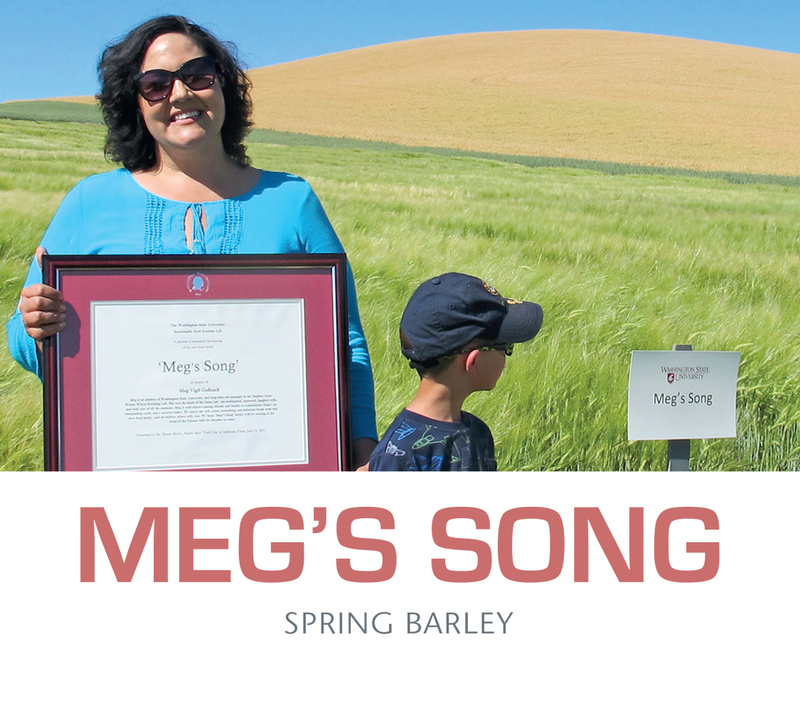 Meg’s Song is a two-row, hulless, spring food barley developed by the Agricultural Research Center of Washington State University. Meg’s Song is named in honor of Meg Gollnick for her dedication to and work in agricultural research, and for her love of cooking and baking with flavorful and nutritious grains. Meg’s Song, developed specifically for human consumption, contains 70 to 100% higher β-glucan (a heart-healthy dietary fiber) than common Washington grown varieties. Meg’s Song is a high- yielding waxy barley, with excellent tolerance to lodging, high test weight and protein, and unique culinary characteristics.